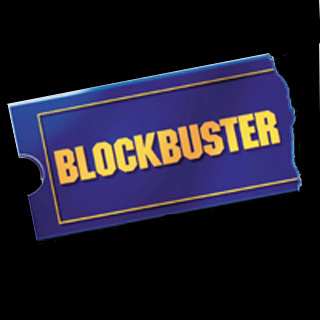 Blockbuster’s latest move to avoid the gaping maw of oblivion comes in the form of an elimination of millions of dollars of credit exposure. The massive video chain announced today that it has eliminated the final $24 million of letters of credit it has maintained on behalf of Viacom, its former parent company. The move severs the last remaining tie between the two companies. The additional liquidity will likely be used to assist with the expansion of the Blockbuster brand into channels such as VOD and the kiosk business. You’ve got to give Blockbuster credit; they’re refusing to go quietly into the night. What do you put the chain’s chances of survival at, Insiders? Are they better or worse than they were a few months ago? What does that even mean? I’ve never heard of a “letter of credit” before. Same. I’m lost. Sounds like this was worded more for the Redbox Insiders Insiders… you know, investors and whatnot. I’m sure they will exist in some form or fashion but they won’t be competing on new releases. Redbox will own that market. My son sometimes wants to get games or movies at Blockbuster, otherwise, I’d never go there again. My local Blockbuster (each store is apparently independantly owned and franchised) has the worst customer service I’ve ever experienced. Their prices are high, their practices are deceptive, and they require a membership card, photo ID, and credit card to be shown each time you rent something. Probably to to their corporate control, (or lack of it), they are commonly changing their policies, prices and procedures, so often it’s hard to keep up with it all. I hope BB goes down soon!! After reading the info that Rojas posted a link for, above ~ thanks, Rojas! ~ I think it goes like this: Viacom owed $$, & the debt was transferred to Blockbuster, in the switch-over; time has elapsed, & maybe the paperwork on the debt expired; so Blockbuster looks better, financially, _on paper_, now. They probably never really intended to pay this debt, so nothing has really changed, except that they found a legal way to get out of it, on paper, & thought that this was a selling point to their own investors.